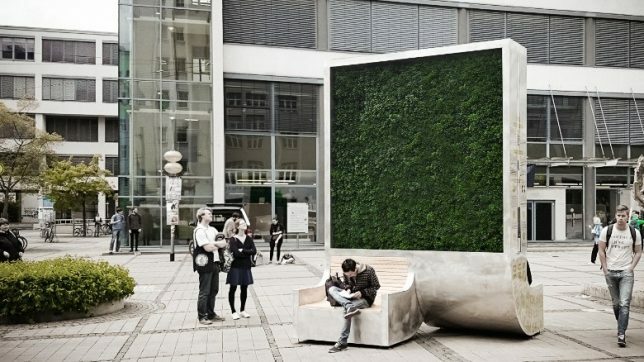 A 13-foot-tall high-tech green wall encased in a concrete frame is capable of cleaning as much polluted air as an entire forest, combining the Internet of Things and biotechnology to collect data while it improves the urban environment. 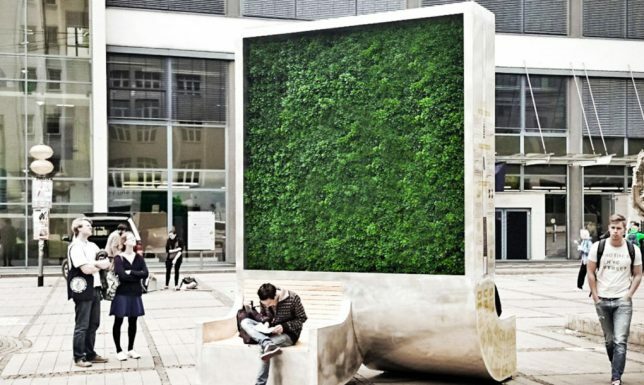 Created by Green City Solutions, the ‘tree’ isn’t really a tree at all, but rather a moss culture that removes dust, nitrogen dioxide and ozone gases from the air while also collecting weather data, providing electricity via solar panels and filtering its own rainwater. 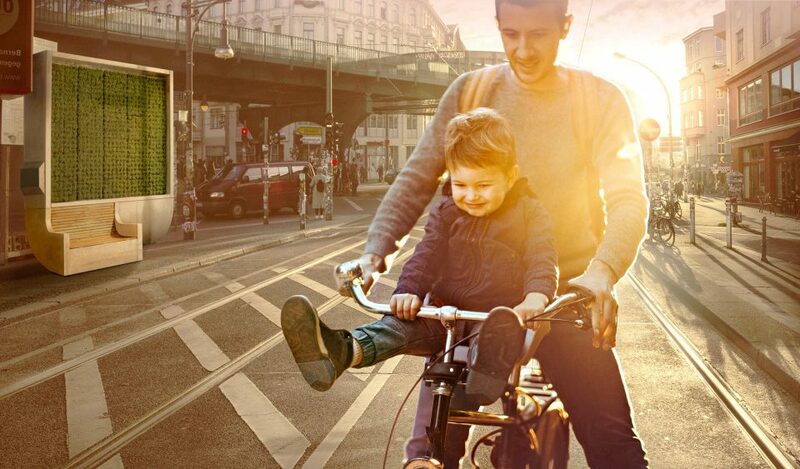 Wifi sensors measure factors like temperature, water quality and soil humidity that help each CityTree self-regulate while also allowing the creators to measure how efficient it is at its job. 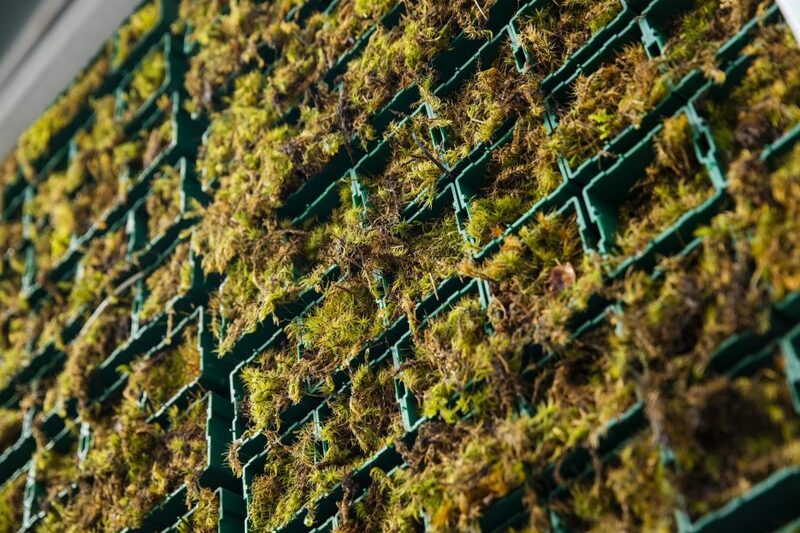 Over a period of a year, each one can remove up to 240 metric tons of climate change-inducing CO2 from the air. Each one features a display for information or advertising. It also features optional benches on either side, and can be vandalism-proofed and customized according to a city or company’s needs. 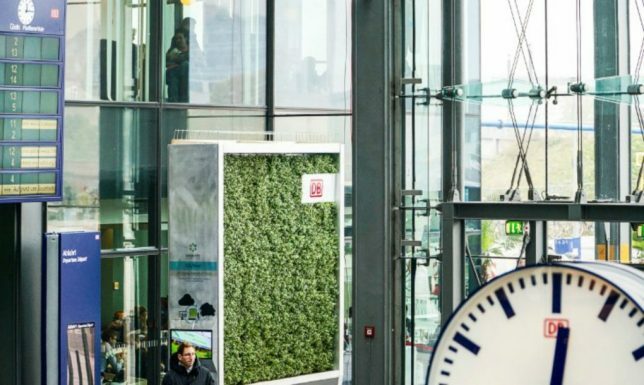 Green City Solutions takes care of the maintenance, and there’s a slim-line version measuring one square meter for smaller spaces. 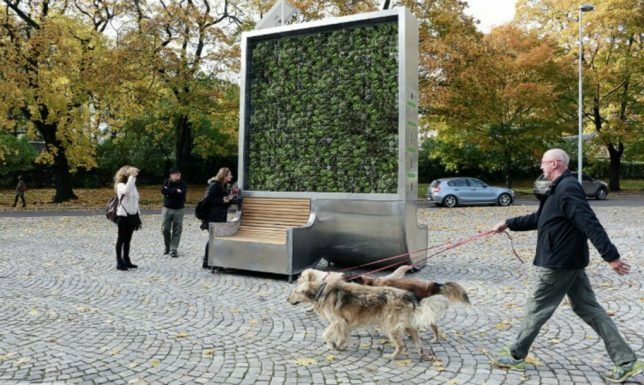 Asia’s first CityTree went up in Hong Kong last summer, and around 20 others have been installed in cities like Oslo, Paris and Brussels. More are planned, but red tape tends to get in the way, stalling its growth to additional cities. 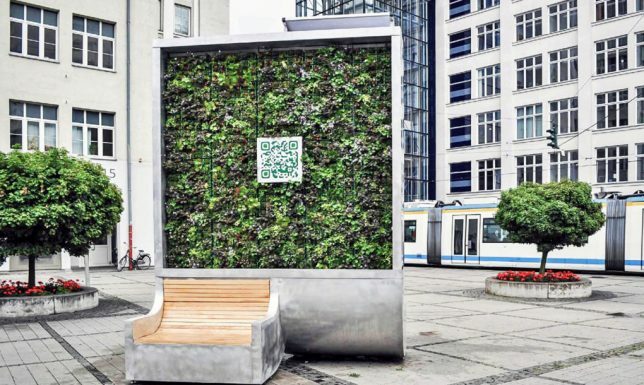 The German-based company plans to introduce the CityTree to lower-income countries like India as well. While it’s definitely not enough to combat urban air pollution on its own, it’s an interesting element to integrate into a more comprehensive strategy.